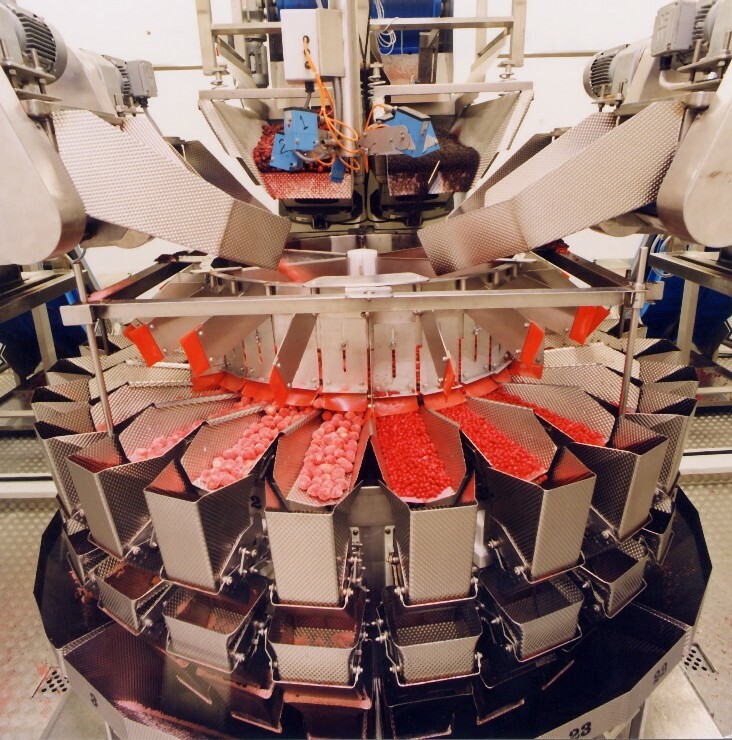 Yamato Scale’s multihead weighers can be applied not only to weigh the required amount of product and package it, but also to develop new and/or refine already marketed products. … And this is how the Yamato mixing application works. As a producer of food, hardware, or detergents, you need to know which machinery can be implemented in your production and packaging process. You also need to know which manufacturers offer what you need. Many products on the supermarkets’ shelves are compositions of components, mixed in a predefined proportion. To satisfy your customers, you need to provide both quality and an accurate composition, tolerating only minor deviations. Yamato Scale produces a wide range of multihead weighers which can be applied to optimize your production and packaging process. Let´s consider the example of mixed products to illustrate Yamato’s entire offer. This application requires a complex design of soft- and hardware, perfectly matched to each other. For your comfort and ease, Yamato can provide the suitable multihead weigher including the entire feeding equipment. Yamato’s product portfolio contains various packaging and weighing solutions and is able to provide precisely the equipment you need in accordance with your production requirements and your budget. 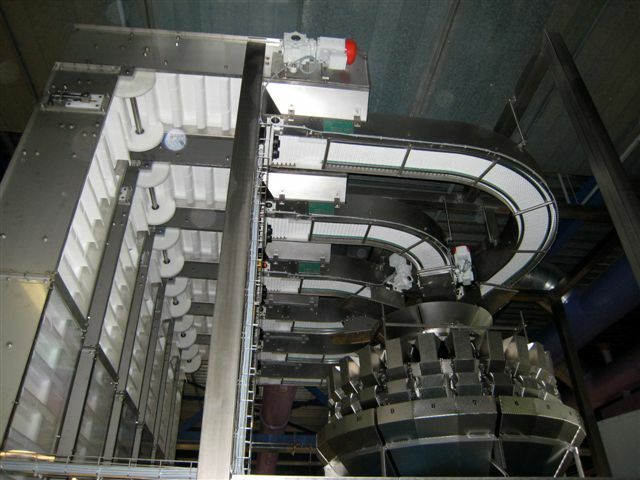 Yamato multihead weigher for deep frozen products, a 6-mix application incl. feeding equipment. Fitted with a dimple plate, the weigher is designed to avoid the adhesion of sticky products. Moreover, the design is capable of withstanding a -21°C working environment. Yamato multihead weigher of the SIGMA series incl. feeding equipment, application of a 6-mix. The entire project management, from planning to commissioning has been processed from one hand. The multihead weighers of the ALPHA Advance Series represent an innovation in the field of mixing applications and are characterized by the favorable price. The model ADW-A-316M, for example, is capable of processing up to 4-mix combinations of various dry product types. However, many other executions of the ALPHA Advance series may also be used for mix applications. The latest development in the field of multihead weighers are the machines of the EPSILON series. This multihead weigher series is based on the well-known bestseller SIGMA series, enhanced by numerous cutting-edge features. 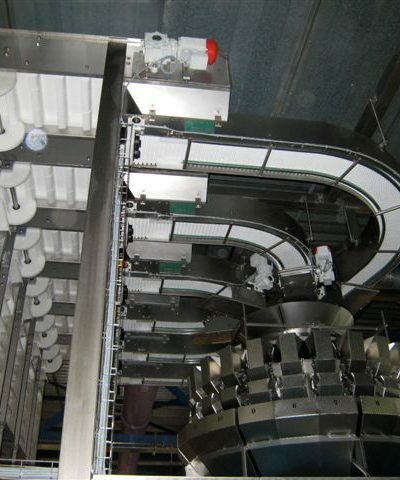 These machines are capable of processing up to 4-mix combinations of goods in distinct production environments. The Yamato EPSILON Series belongs to our middle-class-price range. With the OMEGA Series, Yamato also offers weighing and packaging solutions for a variety of goods requiring specific handling. Possible here are mix applications with up to 8 different components, e.g. with the multihead weigher OMEGA ADW-O-324M. The machines of the OMEGA series represent our premium line. During the weighing process, the primary objective of the multihead weigher is to ensure the accurate target weight of the entire package. To achieve this, the proportions of the single components may shift slightly. In other words, if the amount of product A deviates from the target, the weigher tries to compensate by adjusting the amount of product B. In case the total amount of both A and B is still unbalanced, the weigher takes this into consideration when it adapts the amount of product C to be added. To complete the package of 400g., product D compensates all remaining deviations within this weighing run. Yamato multihead weigher with anti-adhesive coating, incl. feeding equipment for 6-mix application. 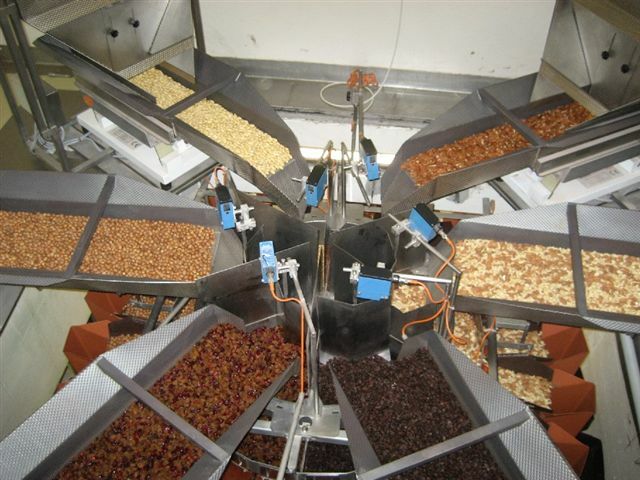 This example illustrates the weighing and packaging process of products with different features: a) raisins – sticky, b) Nuts – rolling. Similar mix applications may be: frozen products (e.g. mirepoix, fruits and vegetable mix), ready meals (e.g. risotto with vegetables), sweets (e.g. jellies or chocolate beans in different flavors), cereals (e.g. mix with dried fruits), fresh produce (e.g. salad mix or vegetables), snacks (e.g. Asia-Mix), pasta (e.g. colored mix), and also pet food (e.g. seed mix). Of course, every one of the aforementioned products requires a specific design of the multihead weigher, depending on its features. 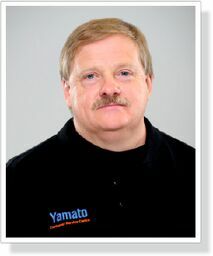 The Yamato product portfolio offers the best solution for your packaging process. The Yamato Team will be happy to support you in choosing the suitable weigher in order to optimize your weighing and packaging process. 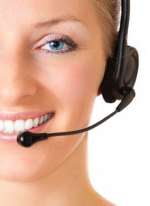 Our consulting team comprises experienced technicians and competent members of our Spare Parts team, all readily available to advise you on the wide range of solutions for your mixing application.